A luxury vacation rental located in the beautiful Troncones area. Casa de San Pasqual is the most recent vacation rental to be built in Troncones. Constructed by the local builders of David and Gonzalo, the home is a econo-friendly home which powered by solar electricity. The house stresses the beautiful climate of Troncones with an open inside/outside living space, but comfortable sleeping quarters that can be closed to enjoy the air conditioners. 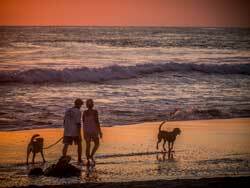 It is a short walk to an almost private beach with gentle ocean breezes during the day and cooling mountain breezes during the evenings. To see more check out Troncones Surfing and updates from the legendary Corky Carroll. 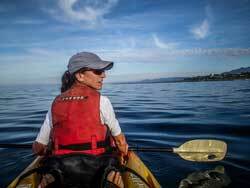 To learn more hiking and kayaking tours, we recommend you check out Costa Nativa ECO Tours and Troncones Surf Camp. 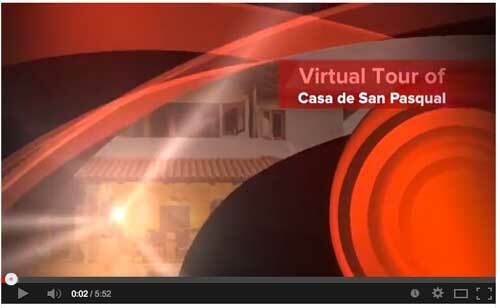 Click below to go to YouTube to watch the virtual tour of Casa de San Pasqual. San Pasqual is the patron of Mexican cooks, the kitchen and domestic animals (and caring for lost animals). Since we are passionate about the culinary arts and rescuing and caring for animals, it seems to be the appropriate patron for our home. ©2016 Casa de San Pasqual. All rights reserved.